WELCOME BACK! 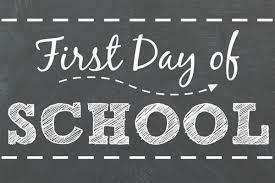 1ST DAY OF SCHOOL IS MONDAY, AUGUST 20TH! ALL STUDENTS START PROMPTLY AT 8AM! FIRST DAY OF SCHOOL! ALL STUDENTS WILL LEARN "THE OLYMPIAN WAY". WE CAN'T WAIT TO WELCOME EVERYONE TO THE NEW SCHOOL YEAR!